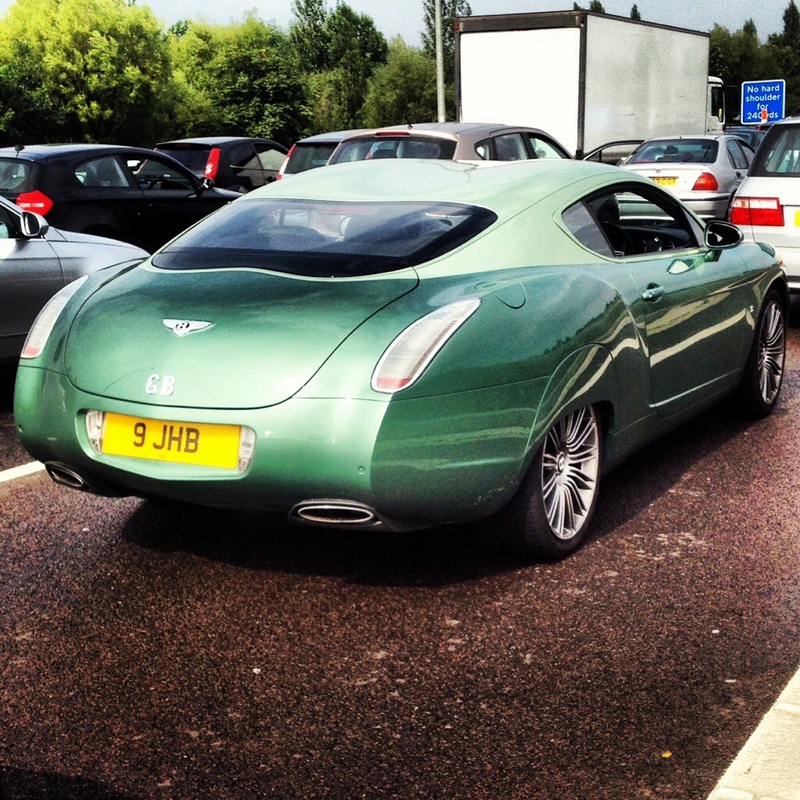 Was stuck behind this Bentley Continental GTZ in a traffic jam over the summer. Forgot to post a photo. It is 1 of only 9 in the world and 1 of 2 RHD models, so all in all pretty rare. The handmade body is by Zagato and prices started at about £700k when new. As ever, those Zagato looks are fairly divisive. Still pretty amazing to see something like this in the metal though. This entry was posted in Cars and tagged Bentley. Zagato, GTZ, luxury, rare, Supercar. Bookmark the permalink.